"We'll have to look at what it is these new fans want from a Mario game"
Super Mario Run launches next week and is perhaps Nintendo's most significant play in the smartphone arena yet, placing the world-famous mascot in an entirely new style of game. 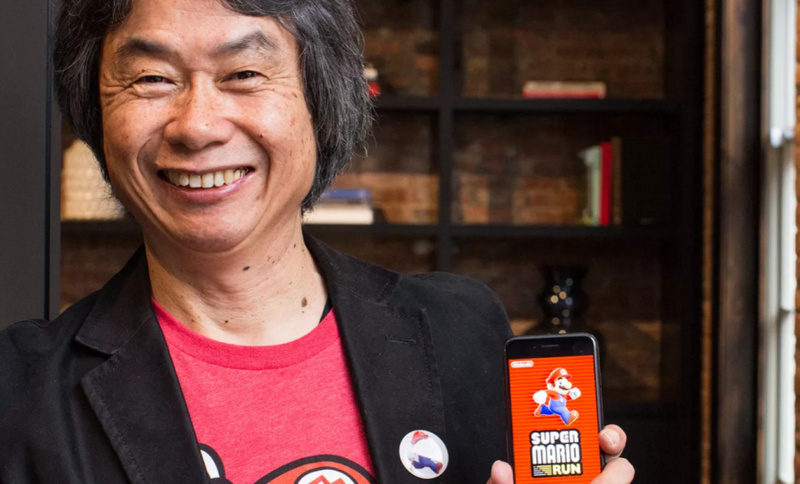 The potential audience for this title is mind-boggling when you take into account the sheer size of the smartphone market, and Shigeru Miyamoto feels that these new players could influence the direction that Mario takes in future titles. Super Mario Run is going to introduce millions of more people to the fun of Mario, and it'll become the entry point for them and then the question becomes, once you've gone through that entry point, then what comes next? Is it a more traditional Mario experience? Is it something like the Mario Galaxy games? We'll then have to look at what it is these new fans want from a Mario game, and we'll continue to see Mario evolve in that way. As we were doing those Wii experiments, we thought that that kind of approach would perhaps best be suited to iPhone. So that became the basis for Super Mario Run. Nintendo has been making Mario games for a long time, and the longer you continue to make a series, the more complex the gameplay becomes, and the harder it becomes for new players to be able to get into the series. We felt that by having this simple tap interaction to make Mario jump, we'd be able to make a game that the broadest audience of people could play. Certainly when we first embarked on our mobile strategy, a key element for us was the idea of bringing our characters and [intellectual property] to a much broader audience, but I think we were surprised by the impact that [Pokémon Go] has had in terms of bringing that audience back to our own games. We have Super Mario Run releasing now, and it's already decided that we'll be making a Mario game for our next system and similarly with Animal Crossing, the hope is that when we release the Animal Crossing mobile game, we'll have more people who become familiar with the Animal Crossing world and characters, so that when we next release an Animal Crossing game we'll have a much larger audience who will be interested. If you're looking forward to Super Mario Run then make sure you check out our hands-on impressions. I hope not. It doesn't look very appealing. I much prefer traditional controlling Mario. Vast majority would prefer 'traditional' Mario, whilst I'm at the point in which if the Mario game teased in the Switch trailer isn't a 64/Sunshine/Galaxy style collect-a-thon, I don't even know what I'm going to do, but I'm not going to be satisfied. @SLIGEACH_EIRE What he meant, from what I see, is that mobile Super Mario would entice people to get interested in Nintendo's dedicated gaming consoles. Yeah, we prefer traditional Mario, but this happens only on Nintendo consoles. 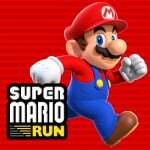 My one problem with Super Mario Run? You aren't running... You're casually walking. LEARN TO HOLD THE B BUTTON, PEOPLE!!!!!! There's plenty of open-world sandbox action games around, but most are based on adult themes (Lego City being the obvious exception). Take something like Just Cause, Infamous, Sunset Overdrive etc., take out the adult themes, and put a Mario skin on it. Super Mario Run looks like it comes with a new moveset for Mario. I want more of this, but in a 3D action game. There are some great action games out there where 3rd person characters slide and vault, parkour etc. - it'd be great to have an action-hero adventure Mario game where he performs these sorts of movements. I realise this probably goes against what Shigs says about broadening the player base for Run, but there's enough Mario games out there for them to produce a more action-hero style variant without hurting the traditional platformers. The acrobatics in 3D World are good fun, but limited in their application - I just do them for the sheer fun of doing them, but they don't really interact with the environment in any particular way. Build a proper adventure playground for Mario and let him go wild in it. I'm all for the simplicity of Mario games - they're a brilliant example of the fundamentals of game design - but can't we have a few more advanced Mario action games too? Only good thing about this is it's linked to your Apple ID. So when I buy it once, I'll have it on both of my kids iPad, me and my wife's phone as we all share my Apple ID. I hope Nintendo learns a thing or two from Apple. New Super Mario Bros. 3 the Endless Runner confirmed for Switch? Please, no. I hope what he means is bringing online aspects of the game - ghost racing and high scores - to games like NSMBSwitch, and not moving all 2D Mario games to mobile, or making them auto-run games. Though if he wants to make NSMBSwitch $9.99 I can live with that. @Damo I don't usually check to see who writes each article, probably just assuming it's TW as he seems to write the most, but once I read this unnecessary awkwardly placed comment I knew it had to be you, you never let things go. "which it was involved in via its part-ownership of The Pokémon Company." Um...how about Mario meet somewhat like Tron 2.0 or Spectrobes ? With futuristic touch. It's this kind of attitude that soured me on Nintendo in the Wii era. The casual market are much bigger than the traditional market, so Nintendo will cater to the mobile gamers far more than the people that bought the Wii U, the Cube etc. I really don't like the sound of this.. Can't we just go back to the 3D Mario platformers with lots of exploration? People hating on this game and calling it a "Mario endless runner" need to stop and do some research. This is not just an endless runner, this game has so much packed into it that it is actually pretty impressive. @Mijzelffan With around 2 billion smartphones in the world,they only need a few million to pay for the app to make a serious profit.I'm sure many Nintendo fans will pay for it,or the former fans who've moved onto other consoles,3 of my mates are anyway.Then there is the casuals that know nothing of pirating the app and will happily pay for it.On top of that,how many Switch's and new Mario games will be bought because of this app.I think it's safe to say this will be one of the most downloaded and highest grossing mobile games ever made. I wouldn't mind if some of the features I'm seeing in the gameplay videos make their way into the regular series (2D I'm assuming). The game looks to have a lot more depth than I initially feared. I think people are going to realize that $10 is actually a bargain, rather than too steep a price for a mobile game. I wouldn't even mind a few auto-run levels in a main game. It's not too far removed from the auto-scrolling levels that prevent Mario from going back in a level. @UK-Nintendo Funny you should say that, I use Apple's family sharing (I prefer not to share IDs for various reasons), and I wonder if the unlock in-app purchase would be shared too. My guess is no, but here's hoping. @PixelViking64 We are, that's what the Mario Switch game appears to be. There's no reason not to have both types of games, just like both the Wii and Wii U (EDIT: and the 3DS) had 2D and 3D Marios, and both were equally enjoyable. People are reading too much into this statement and the existence of Super Mario Run as a whole. @nab1 hopefully if the Apple ID are the same it should do. He probably got the idea from all those auto-running fan-levels on Mario Maker. I really hope we are not going towards auto-running Mario games on consoles. I don't like being negative, but, given how Nintendo has handled their IPs like Metroid and Paper Mario recently, that is probably an option. "Oh! Let's inovate by using this stablished IP in new ways the players never asked for"
I love Tron, but it does NOT mix with Mario. In any way, shape, or form. @nab1 if that were to be the case, yeah, I wouldn't really mind; right now I'm just really craving a Mario game where you're not restricted to a linear path (even the Galaxy games felt kinda straight forward to me). @PixelViking64 I personally find the Galaxy games to be a nice balance between open paths with some linearity, which lends itself to dramatic events and cool set pieces. I was more bothered by the lack of movement options in Mario himself, like the long jump is pretty much useless, and the backflips aren't that high to be useful either. I think in 64 and Sunshine to some degree, Mario had so many movement options the games were open to many sequence breaks by abusing the mechanics, and probably that's why Mario has been gimped a little in the latter games. Here comes Super Paper Mario Run. Makes sense, Mario is for everyone and that includes people who aren't already fans. @MarioFanatic64 Eh the truth is the vast majority prefer 2D Mario because they're accessible. When the system sales are high enough the gulf between 3D Mario and 2D Mario can be massive(e.g. 2D Mario selling 2-3x more than 3D Mario). @3MonthBeef Nintendolife. Where the glass is always half empty. I will certainly remember the Wii U for a lot of firsts. @UK-Nintendo I'm pretty sure in-app purchases are per family member account. So, each person will have to buy to unlock the full game. The upside is no endless IAP and consumables and timers. You unlock stuff through achievements and coin collecting in-game with no artificial incentives like ad-watching and paying for bags of coins that distract from the game. As far as what he is saying here you can't just read it in a vacuum. Miyamoto is still interested in deeper games. So, imagine this in context of what GameFreak apparently did with Pokémon Sun and Moon after Pokémon GO's success in adding all forms for most of the first generation Pokémon. It gives a great attraction to those that are new to the game but essentially is the same type of game. I could see new 3D Mario's taking on some of these new moves from Super Mario Run, or run-style levels to draw people in. Add some of the new blocks and approaches in the 3D world. Imagine if the flying ship stages became very popular for some reason, then the big 3D Mario Switch game might have an awesome flying ship stage added. Everyone is worried about Nintendo suddenly going ultra-casual, but just look at the Switch and the advertising. To me it looks like mobile is the new branch where all those casual leaning games can rest while the core games can become the trunk of main console tree — maybe creeks that lead to rivers analogy would work better. — Okay, it just means Nintendo can worry less about making the core games accessible because that is taken care of on mobile. Nintendo just needs to make a few decent smart phone games to inject subliminal messages into casuals players into buying a Nintendo Switch! What I got from this is when Super Mario Run or Animal Crossing Mobile generate a bazillion dollars from a bazillion downloads that will give Nintendo more money to invest in the console titles. Nintendo will be much more willing to give us a full fledged, online Animal Crossing that we've been dreaming of on Switch if it's mobile counterpart has a bazillion downloads. Food for thought. What I understand from this is that they're evaluating on how they can welcome a mobile player interested in Mario due to SMR to the console Mario game. Will they use a long tutorial, like Sun and Moon? Will they have an extra easy mode? We're used to the usual Mario controls, but people on this site tend to forget newcomers aren't used for it, and a steep learning curve isn't attractive for them. Or have you forgotten Star Fox Zero? He's right. There is a new audience rising who will have a different understanding of classic.